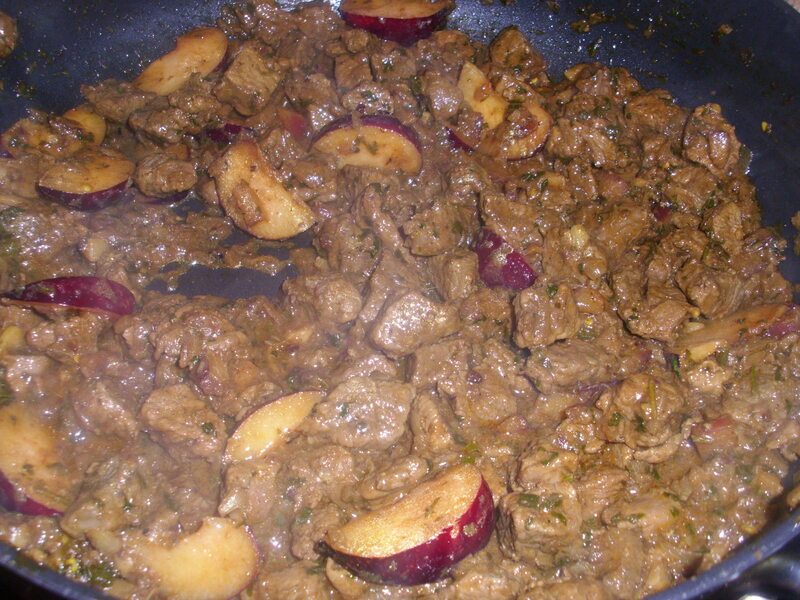 Lamb and Plum curry – fit for a queen! My husband says this is his favourite curry. I reminded him of how many times I had heard him say this but he stuck to his guns. Just to prove a point, however, there are a couple of links below to previous curries he has said this about! When I first saw the recipe for this curry I was intrigued. I had never heard of a similar curry before and have yet to see anything like it in an Indian Restaurant. It is a dish from Hyderabadi and is, apparently, a speciality of the Veeraswamy restaurant in London, the owner of which had a grandmother who was a Hyderabadi princess. Veeraswamy is the oldest surviving Indian restaurant in the U.K, and possibly the world. Established in 1926, it is one of London’s oldest surviving restaurants and a global restaurant institution. I found this recipe in a little book called ’50 great curries of India’ by Camellia Panjabi. It is one of the best curry books I have ever had and I am slowly, but surely working through the recipes. So far there is only one that I was disappointed in but that was vegetarian so no great loss to us confirmed carnivores! I have copied the recipe exactly from the book as I can’t think of anyway I would want to change it. Be careful with the chillies though. Check out how hot your fresh chillies are and maybe use just 1 teaspoon of chilli powder, unless you like your curries really hot. In a deep skillet, heat the oil and fry the onions until they are golden and starting to brown at the edges (this should take about 10-15 minutes). Add the garlic, ginger, cloves, cardamoms, cinnamon, and green chilies. After 1 minute, add the turmeric, coriander, and chili powders. Stir well. Add the lamb and salt and stir fry in the spice mixture for 5 minutes. Then cover and cook the lamb in its own moisture with the onions on a medium heat for about 10 minutes. When the lamb is semi-dry, stir continuously until it is coated with the spices and the mixture is golden brown. Now add the finely chopped plums and cook with the lamb, stirring a few times. Add 2 tablespoons of the chopped cilantro leaves and the lamb stock or plain water, bring to a boil and simmer over a low heat for 30 minutes. Now add the plum wedges and cook until the lamb is done. Put in a serving dish and sprinkle with the remaining tablespoon of fresh leaves.